Call 8828 8415 to allow us to serve you. We are dedicated to providing an outstanding level of care for new mothers and their babies. 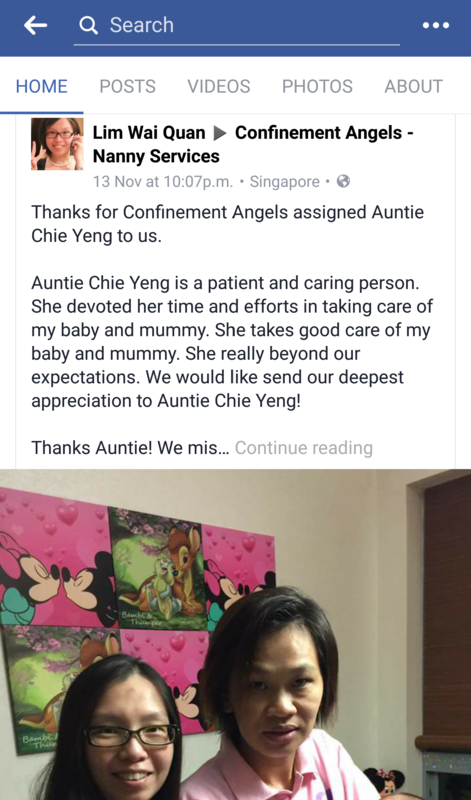 We offer a comprehensive range of services in Singapore designed to provide support and assistance in every aspect of your confinement period. Our services range from care specific assistance with the baby and the preparation of special food for the mother and extended family, through to general housekeeping tasks such as grocery shopping and tending to the family’s laundry needs. Call 8828 8415 and allow us to serve you. Today is the last day of my confinement and I’m sad to say goodbye to my baby’s confinement nanny. She’s been a great help to me and fits in so well at home! 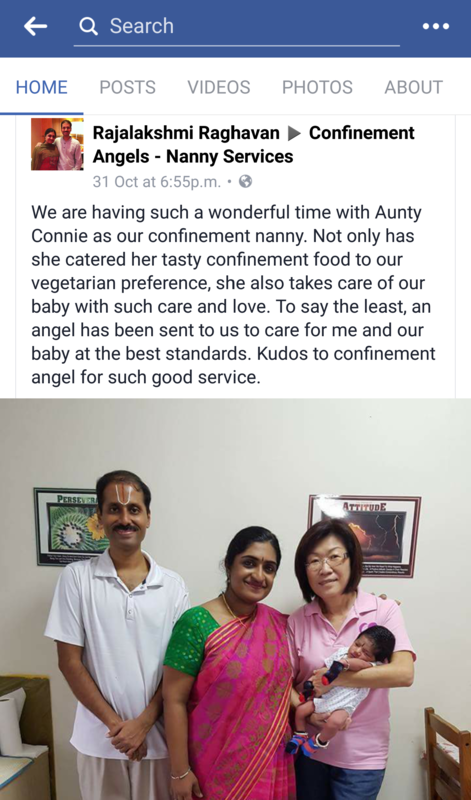 Some of you asked for her contact and while I can’t give you her number (because I don’t have it myself), I can share that she is engaged through Confinement Angels – Nanny Services. 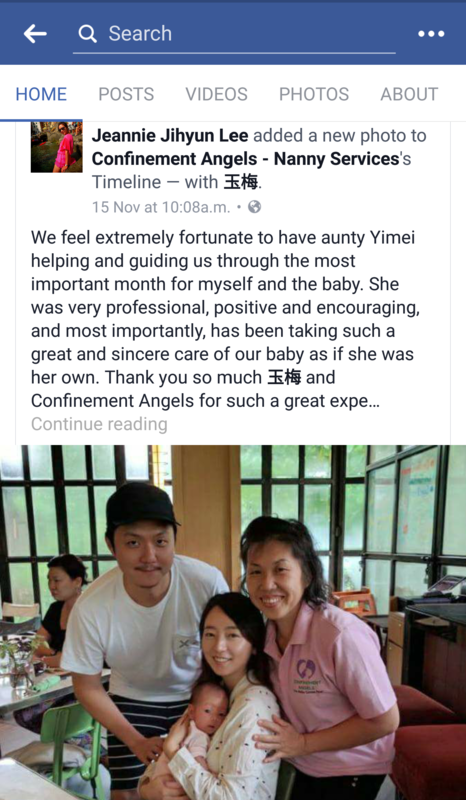 I think this is a great platform for moms to secure nannies at reasonable rates and have an in-between person to manage any issues or conflicts that may arise during the confinement period. During this period, I’ve come to realize that there is no “perfect nanny” because we all have different needs and expectations. 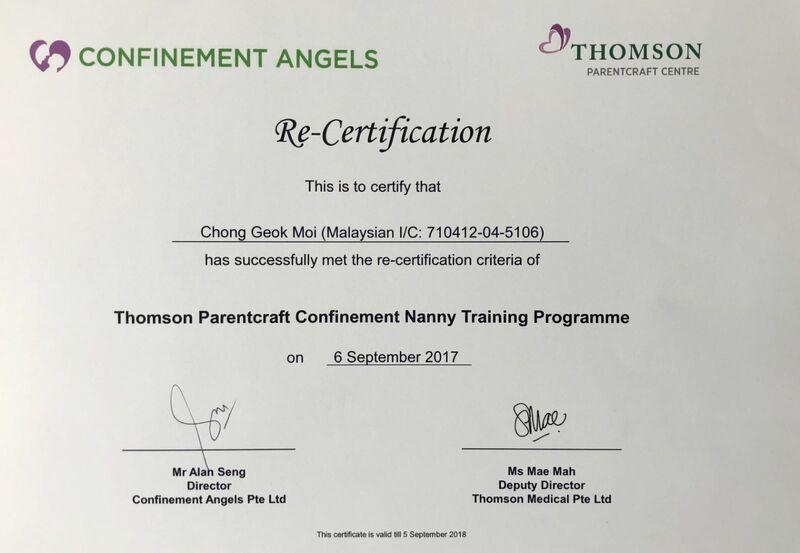 All the nannies from Confinement Angels are trained by Confinement Angels’s trainers using training syllabus from Thomson Parent Craft, so they are definitely well qualified to look after our babies but having said that, every nanny’s style is different and what works for one mother may or may not work for another. I’d say, the key to having a “good” confinement nanny is managing and clearing all expectations, stating house rules early on, then maintaining open communication both ways throughout the period of confinement with as much patience and understanding as possible.